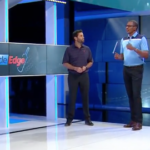 Episode seven of Inside Edge puts the focus on the Proteas batting. 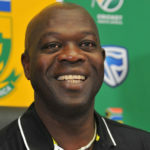 Proteas head coach Ottis Gibson has revealed he will also take on the role of bowling coach. 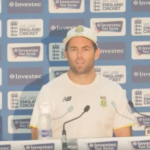 Neil McKenzie says that the Proteas will not become complacent in the final ODI against Bangladesh, and will hunt a whitewash win in East London. Neil McKenzie said Chris Morris is an X-Factor bowler, who will be able to bounce back after going for 1-91 from his 17 overs on day two. 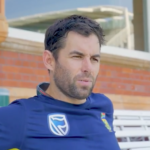 Neil McKenzie reminisced on scoring 138 against England and standing at the crease for nine hours over 2 days at Lord’s in 2008. 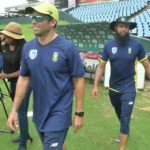 Proteas batting coach Neil McKenzie says the side will be able to play their normal game, despite the do-or-die situation against India on Sunday. Former Proteas batsman, Neil McKenzie and his wife Kerry McGregor, are expecting baby No 3. 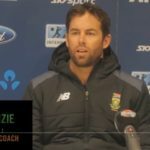 Proteas batting coach, Neil McKenzie, believes 260-270 will be a good lead to defend on day five in Dunedin. 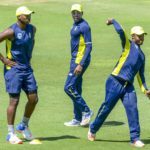 The nature of T20 cricket makes it difficult for new players to make their mark, but Proteas batting coach Neil McKenzie has praised the way they’ve stepped up. 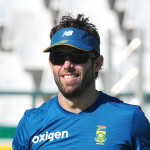 South Africa batting coach Neil McKenzie believes that Australia’s bowling attack lacks any source of a fear factor.